Hello! I’m Ashley from Lemon + Lavender! I’m thrilled that Khady invited me to share my homemade eggnog! I love the added Amaretto. It’s perfect. I picked my bottle up at the Duty Free down by the port, but Casino carries it as well. I wasn’t sure about making it with raw eggs, but it really is delicious this way and I wouldn’t have it any other way. You can cook the yolks and milk and I plan on doing so for our annual holiday party. I would hate to be responsible for an entire house party sick with food poisoning right before Christmas! Also you can add more Brandy and Amaretto. 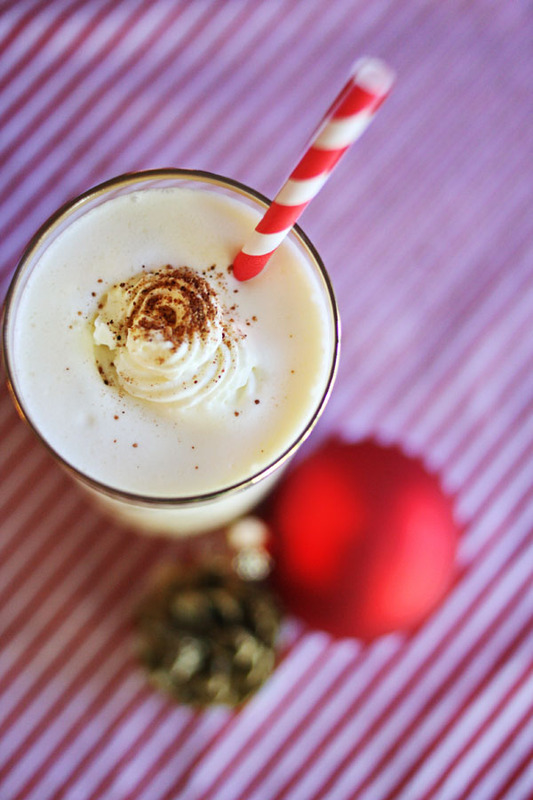 I am just a fan of eggnog with only a hint of alcohol and I find some recipes call for too much of Bourbon or Brandy. Don’t forget to top with whip cream and nutmeg. I’m still brainstorming a festive way to serve this up on Friday. Maybe shooters? Joyeux Noël! In a large bowl beat egg whites until soft peaks form. Add the yolks, honey and beat well. 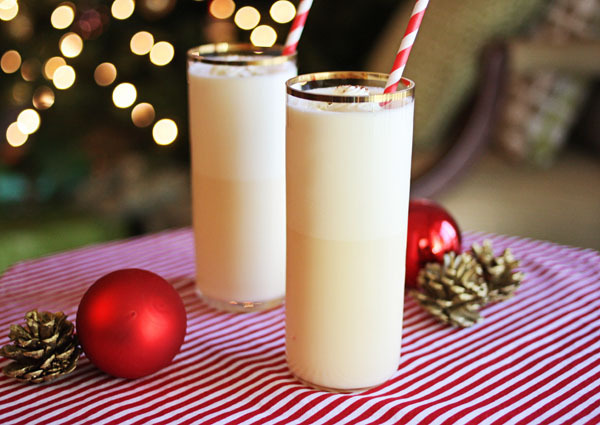 Stir in milk, brandy, amaretto, and vanilla. Chill for several hours. Fold in whipped cream when ready to serve saving a bit to garnish on top. Sprinkle with nutmeg and serve cold. Previous Milmaïs Christmas bread is here!